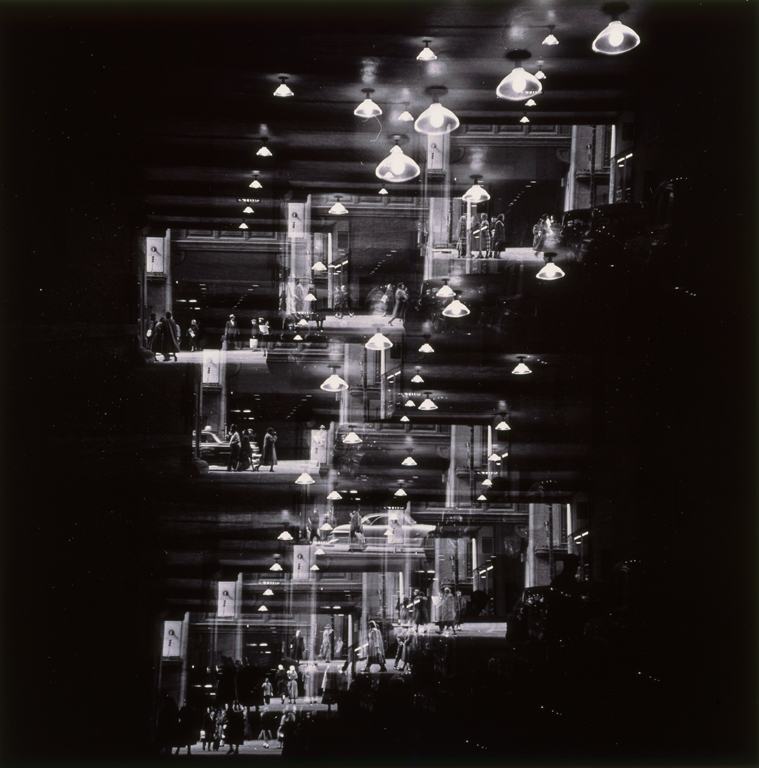 Harry Callahan had a penchant for experimentation and a talent for balancing formal acuity with evocative content. Although best known for photographs of his wife, Eleanor, and his innovative renderings of nature, he was equally interested in urban subjects. This photograph was made during his tenure at the Institute of Design in Chicago (1946-61), when László Moholy-Nagy's advocacy of the New Vision philosophy—that photography could modernize and transform human perception—permeated the school's curriculum. In this exquisitely crafted vintage print, he invokes the multisensory experience of the urban street with a personal, yet somehow universal, perceptual edge.